Fortnite Season 5 has just kicked off in style, with almost certainly the largest number of changes included in a single patch since launch. That includes new vehicles, a new biome, new features, and a number of balance changes to various weapons. We don't want to spoil everything in the opening paragraph though! In this guide, we'll round up everything that's new in Season 5 of Fortnite. 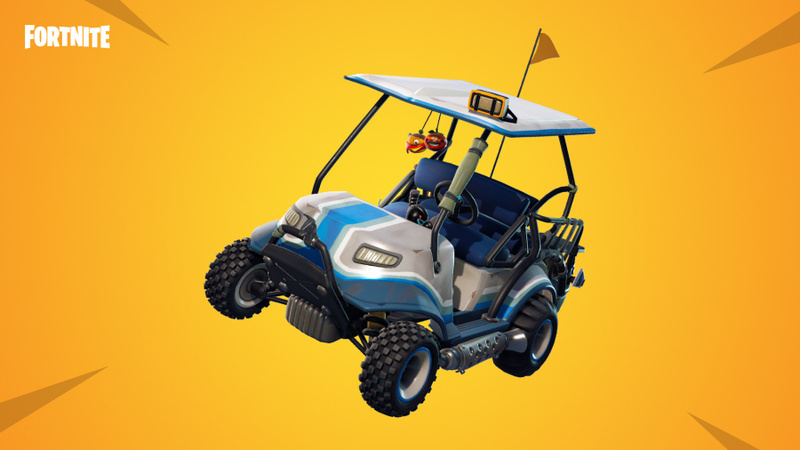 Slowly but surely, Epic is adding vehicles to Fortnite. It all began with shopping carts that you could ride on much like a skateboard or scooter, but now Epic has gone one better: the All Terrain Kart. This is likely a response to Fortnite players creating Mario Kart tracks in Playground Mode, a theory only reinforced by the inclusion of a speed boost after drifting. That's one of Mario Kart's biggest tricks! The best part about the ATK though, is that your entire squad can fit inside it. That way, all four of you can get around the map together with greater speed than before. You can even leap over obstacles by leaning back (holding back on the thumbsticks) and all releasing at the same time to get massive air. That's a nice touch. Oh, and in true Fortnite fashion, the roof is a bounce pad too. Fortnite Season 5 - Gyro Controls! Exclusive to Nintendo Switch players, Fortnite now finally allows for gyro controls! These are an optional extra you can now find in the settings menu. Fortnite Season 5 - Free Battle Pass! Epic has now included a free version of the traditional Battle Pass. How it works now is, three of the seven weekly challenges will now be available for all to beat. Players who purchase the Battle Pass will then unlock the remaining four challenges, along with a bunch more extras. Season 5 includes a new desert biome, which covers the bottom right hand corner of the map. This also includes unique ambient audio, which is nice! 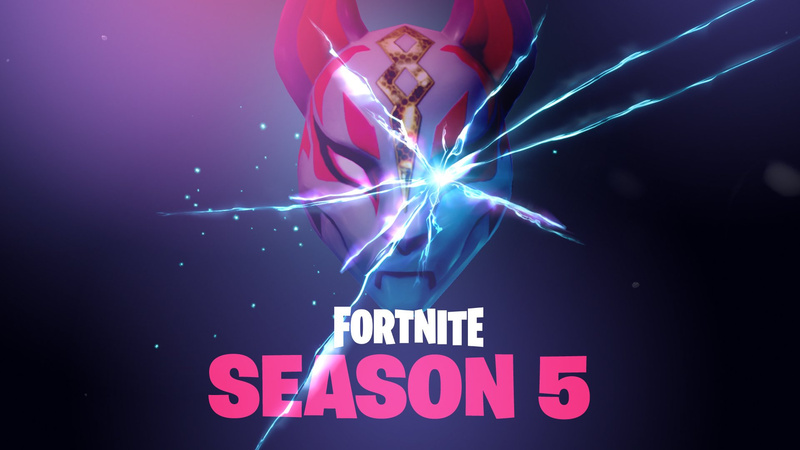 With a new season, comes new locations and season 5 is no different! Here we have Paradise Palms and Lazy Links, alongside a wealth of new unnamed POIs that appear across the island. 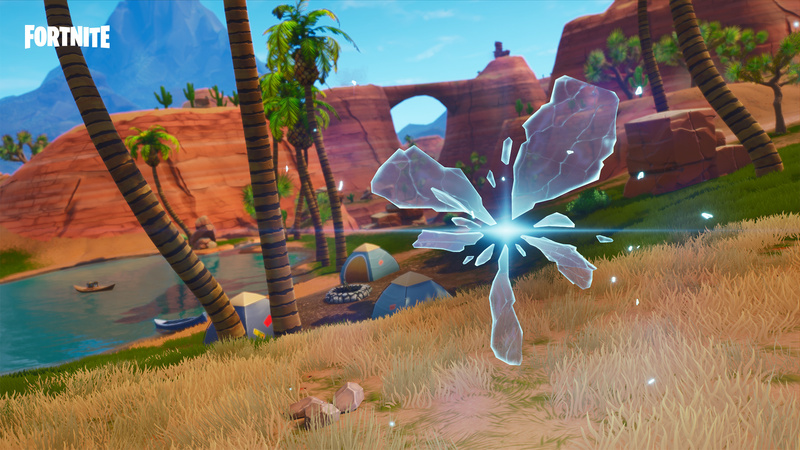 Rifts are mysterious portals that appear across the map of Fortnite, and whisk you instantly to another location when stepped inside. The centre of storm circles seven, eight, and nine will now shift in random directions, as oppose to simply shrinking. The storm will now move and shrink to that new location. If you're the type that prefers to just read the entire patch notes as Epic intended, we've included them all below. Streamer mode no longer just says "Player###", instead it now uses the player's cosmetic character as their display name "Character[###]". So instead of “Eliminated Player100” you may see, “Eliminated Rust Lord”. Anyone eliminating someone in streamer mode will now see Streamer[###]. Stats / carear tab there?????? Nice! Looking forward to the new season. How do you turn on motion controls then, and how are people finding them? I imagine you can tweak them, like Splatoon, DOOM and the like? There is some problem with the textures. I keep seeing textures going very low resolution for a long amount of time. This didn't use to happen so often and for so long, is clearly more noticeable now. Is anyone else experiencing this? Now that I’ve completed Wolfenstein II I’ll be returning to Fortnite. @MartyFlanMJFan In the lobby, press start, then highlight the cog icon and press A. Scroll down slightly and you'll see three motion sensitivity options, which are set to zero by default. Top one tweaks motion sensitivity while just running around the world, and the bottom two tweak looking down sights and scopes respectively. Might take a bit of fiddling until you find a comfortable setting. @HobbitGamer @FoxyGlen thanks for the replies and help. @Laxeybobby I hate that! Whenever I try it they some how get a headshot, and I can never hit them when they do it. Have they added the career tab ? @Francema Except it's not that at all, is it? 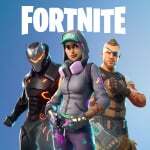 The previous article was a news article announcing that season 5 was live, and this is a guide to the changes that goes into more detail about each of the big changes individually. We've included both our own personal highlights right at the top for those that just want to know the most exciting new features, then the entire patch notes at the bottom for those that want to dig a little deeper. TLDR: Not really sure what your problem with this post is? @Zenarium I'm seeing the same thing. There was something in the patch notes about them trying to optimize things more, I'm guessing something went wrong with the Switch version. I had one of the new buildings remain a potato blob after landing and was unable to follow my squad inside leaving me in a dangerous position. @FoxyGlen Sorry, I missed the tags. This is the Guide.